Ninco Top Speed Set wins Auto Express award. 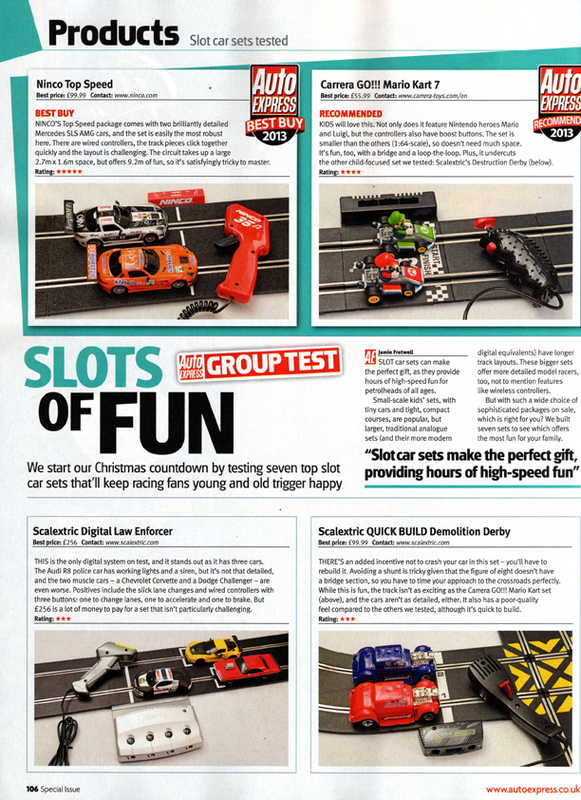 Scalextric Shop are pleased to announce that Auto Express magazine have announced the Ninco Top Speed Starter Set as their Best Buy 2013 Slot Car set. Over 9m of fast circuit including a flyover section and two Mercedes SLS GT3. 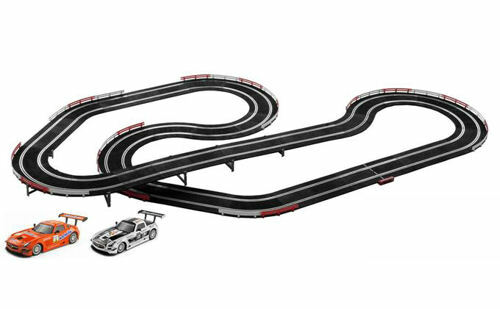 This slot car set comes with everything you need to get started, 9m of track, two high quality 35 ohm controllers, cars, barriers and flyover supports. There are twenty curved sections giving you a lot of scope for some really interesting layouts that can be run in either direction.